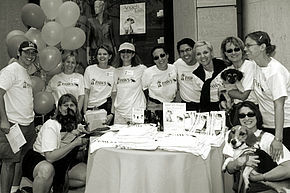 As PAWS Chicago’s adoption and spay/neuter initiatives continued to grow, people began taking notice. In March, Chicago magazine published an in-depth profile on the state of animal welfare in Chicago. The article juxtaposed the old traditional sheltering model with PAWS Chicago’s No Kill approach. Read the article, “Like Cats and Dogs,” here. 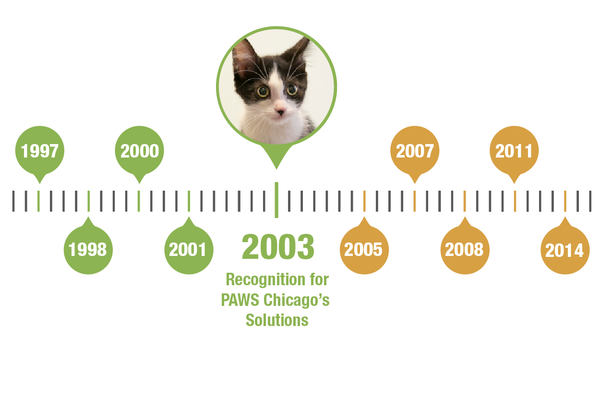 In October, PAWS Chicago became the first not-for-profit organization to win a Chicago Innovation Award. Read the Chicago Sun-Times feature here.